419 calories for a tasty breakfast, yes, please. As so often I started the day with an omelet for breakfast. This time with 2 eggs with some sweet pepper mixed into it. Some chicken from yesterday, cheese and a fried tomato. 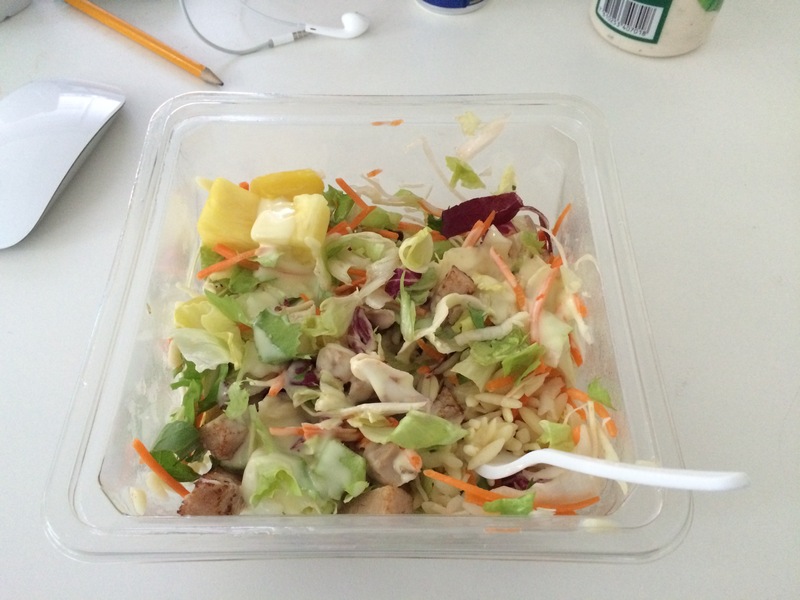 Not the most exciting salad but I had worse. It had a few pieces of pineapple and some chicken. Not sure what the pasta/noodles was about, just different. According to MyFitnessPal it got 350 calories and 32 grams of carb, my calculations gave less but guess they didn’t add the dressing on the Foot Fact note. Got home a bit late but took my time for cooking, actually started with a shake (See below). Then it was cooking time, the meal was simple but time consuming. Some fried meat and on the other pan I friend a mixture of cauliflower-rice, sweet pepper, lots of spinach, onion and some coconut. 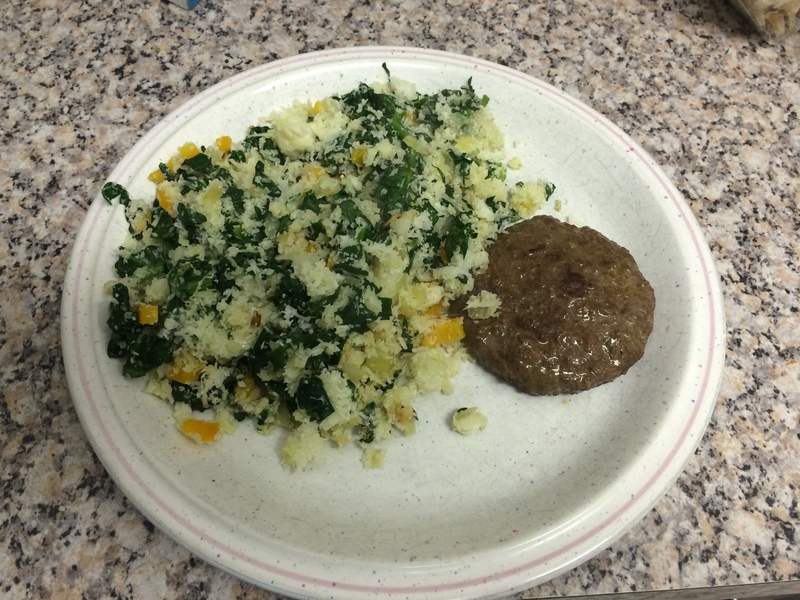 Just a word about cauliflower-rice, I read about it before but never tried it until my sister recommended it. So easy to make, just shred some cauliflower with a hand-held grater, leave in some bigger pieces (..just what I like..) and that’s about it. I don’t cook it but just fry it on the pan together with other things. Just be carefully, it can end up rather dry. Had a nice long day so decided to enjoy a beer together with the food. Not a bad idea if I have to say it myself. 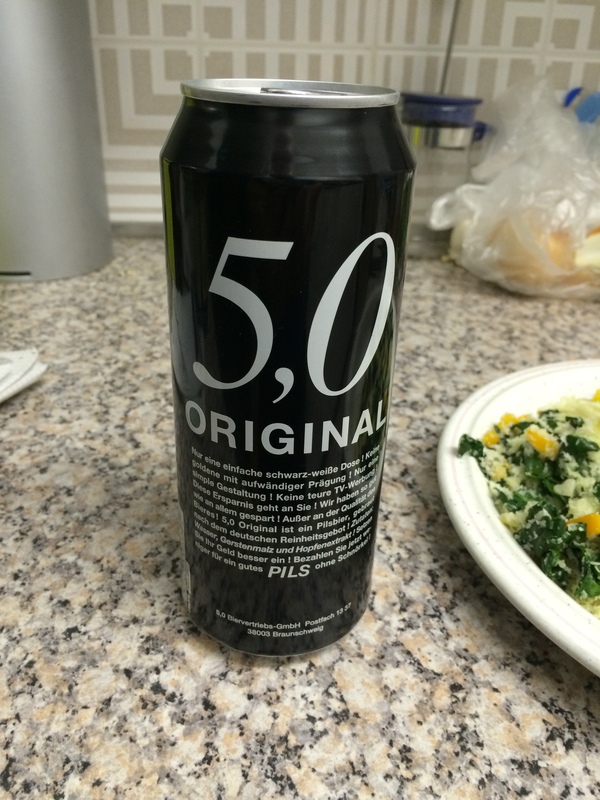 So dinner ended up with a total of 612 calories, yes, including the beer. 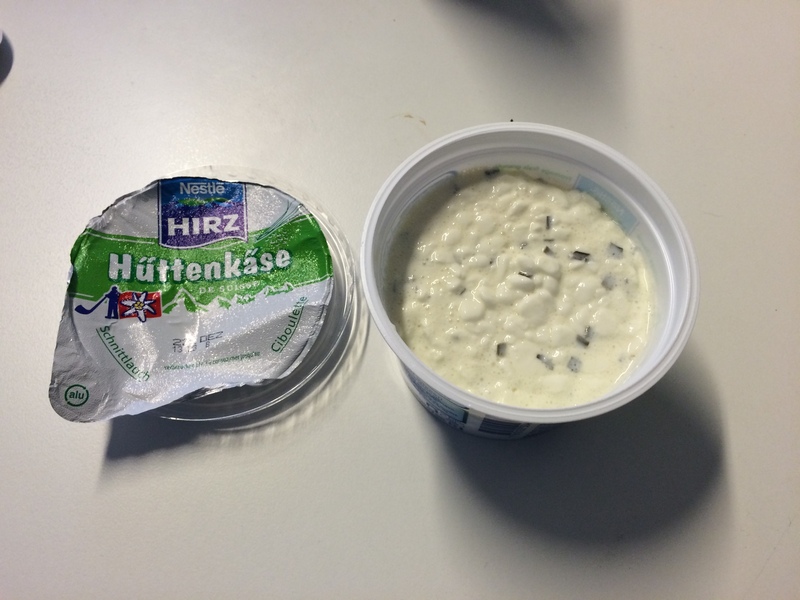 So bought 200 grams of cottage cheese, yammy, really enjoyed it. (Hmmm, not the best picture). 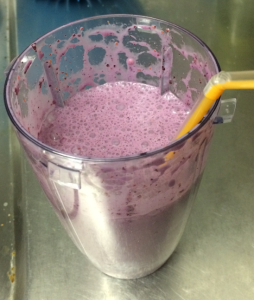 Shake was inspired by the High-Protein Berry Shake from my favourite low carb website Low-Carb Diet Advice. My shake includes 60 grams of frozen blueberries, 120ml Coconut Milk, 10 grams of protein powder (Strawberry taste) and some artificial sweetener, finished off with some water. Second time I made it, taste really good but needs some tweaking I think. 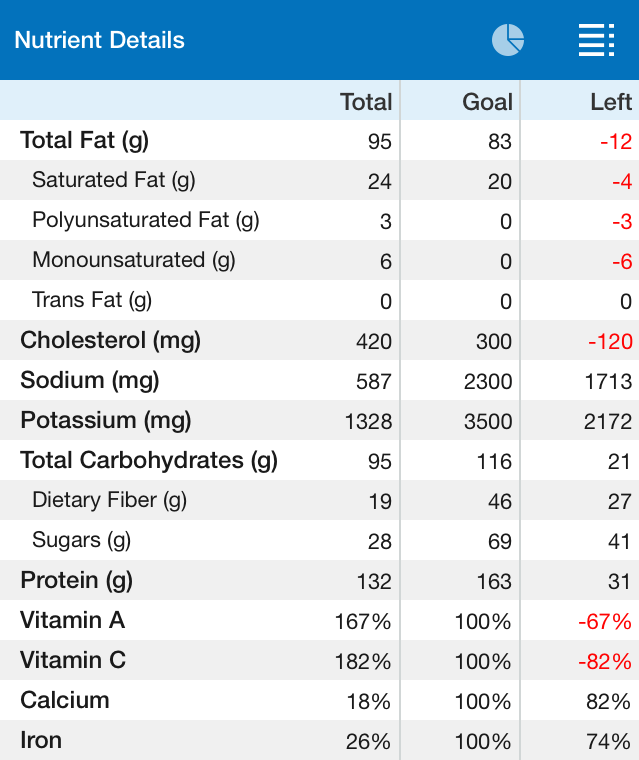 A bit high in calories with 316 and 13 grams of carb but sometimes you just have to ignore that and enjoy.